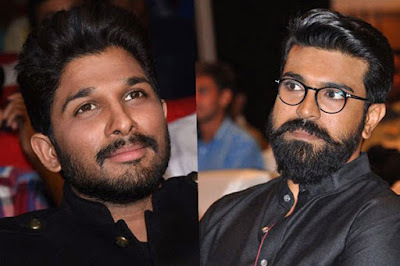 Wherever you see in the theater Ram Charan Chitti Babu character discussion.Ram Charan Together with Sukumar in the film rangasthalam beet the hit.Minus Points in the movie with the film hit talk fell off.The length of the film is too long with the hit talk on the movie The length is not even discussed.But Ram Charan's first time was a 100-percent success in acting as a village boy.However, Ram Charan Chitti Babu's performance is not the audience but Charan's close friends are getting hit.Ram Charan's friends and close friends from Charan family members are already chanting the story.But allu the heroes they didn't talk anything.Somehow Allu Sirish did not see the film after the theatrical release, but Charan's performance is amazing. I'm going to the Evening Show he tweeted.But after watching the film, I do not speak any word. Allu Arjun also did not comment on Ram Charan's stage.That movie songs are very much like his son Ayyan... Like an uncle, Mega fans are so angry that they can not wait to congratulate Charan at all, even if they have not been watching a movie yet.Allu Arjun's Mega Fans are all about Pawan Raman and now that Bava Ram Charan is still in doubt, the suspicion is now in Mega Fans. Because Ram Charan is a strong competitor in mega heroes.That's why I think Charan Hit is unable to enjoy Allu Arjun in the Mega Fans. Pawan, who is far away from Mega Family till now, has also met with his elder brother Charan, who is seen in the theatrical special show and charities. Allu Arjun is not silent without any comment.